New 2012 Model! The ProJet™ MP 3000 Printing System is designed for use in laboratories with extended unattended operation and same day processing to reduce time and cost. 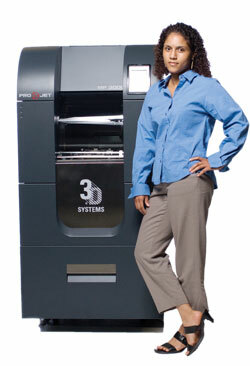 The system can produce any size model with a choice of two print modes, smooth and matte. Multiple models can be built at one time. Unbelievable price on ProJet™ MP 3000 3D Printing System in Shah Alam (Malaysia) company Intercept Corporation, Sdn. Bhd..